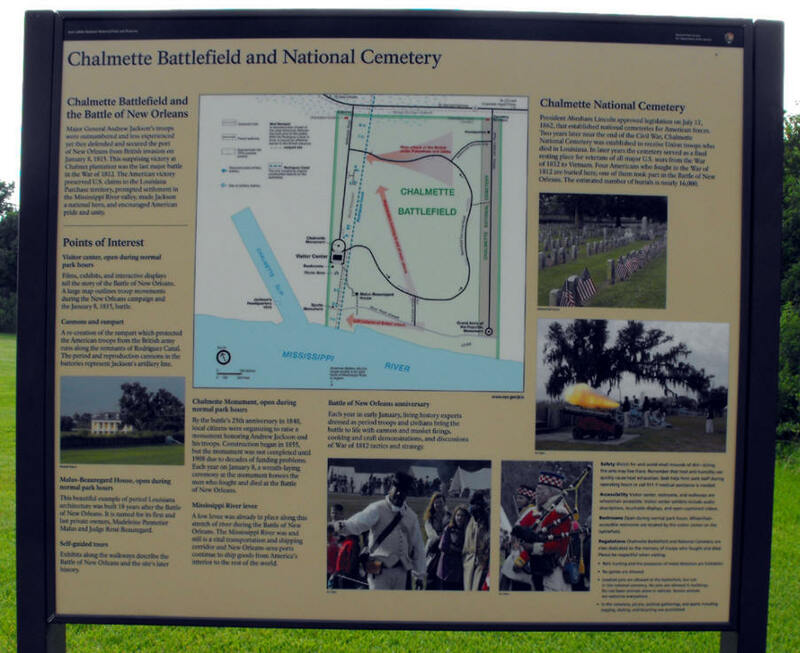 Realistically, the actual battle occurred on the outskirts of New Orleans in Chalmette, Louisiana 200 years ago, January 8, 1815. 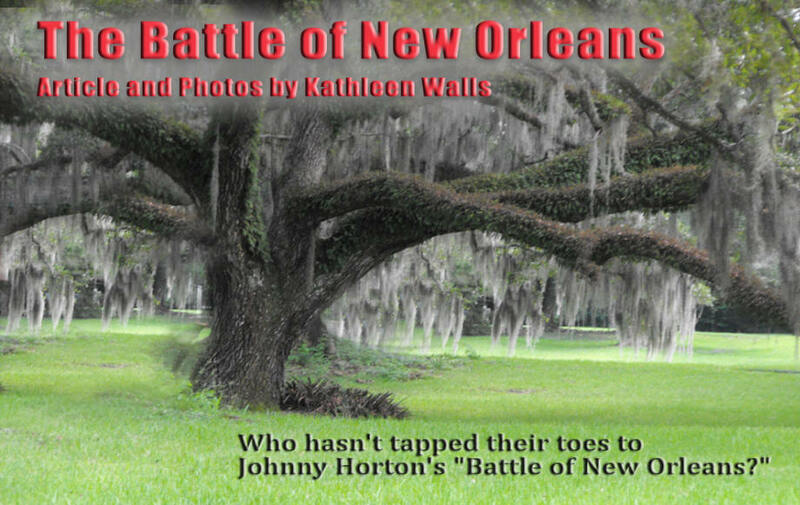 There had been several earlier battles and skirmishes where the British tried to take New Orleans but none were decisive. Not until The British army led by General Edward Pakingham tangled with General Andrew Jackson's ragtag army at what is now known as Pakingham Oaks, so named for the majestic oaks there and the attacking general. Jackson's army was made of a strange mixture of 4,732 men comprised 968 US Army regulars, 58 US Marines, 106 seamen of the US Naval battalion, 1,060 Louisiana Militia and volunteers (including 462 free people of color), 1,352 Tennessee Militia, 986 Kentucky Militia, 150 Mississippi Militia and 52 Choctaw warriors, Jean Lafitte and his Baratarian pirate crew. Jackson had backup on the river from three ships none of them actually warships. Pakingham had 11,000 and the force of the powerful British Royal Navy supporting him. Contrary to popular opinion, the war had not officially ended even though the Treat of Ghent, ending the war had been signed. The treaty did not take effect until it was ratified by both sides. The U.S. Congress did not ratify it until February of 1815. When I visited the battlefield a few months ago, the song seemed to play once again in my imagination as I looked on the actual battlefield, laid out as it was in 1815. I stood at the rough wooden battlements and touched the old cannon. It took me back to that fateful day in American history. 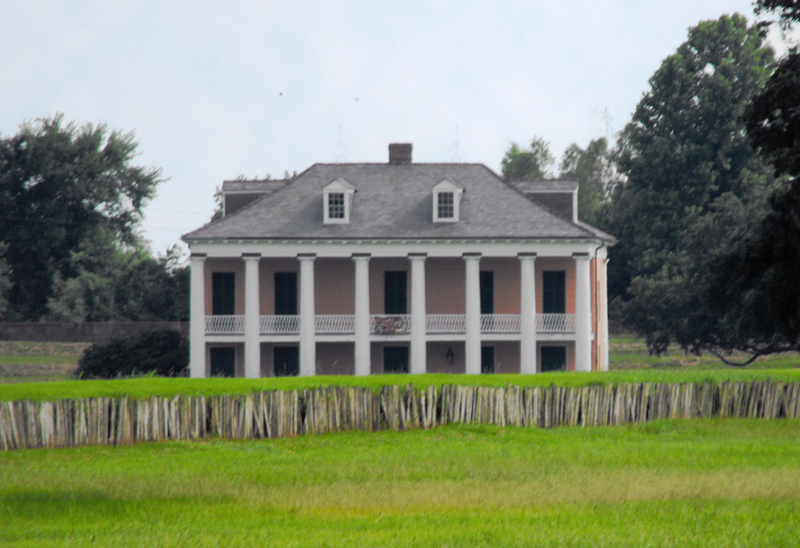 In the background of the battlefield lies the Malus-Beauregard House built in 1830 whose owner Rene Beauregard, was the son of the Civil War Confederate General, P. G. T. Beauregard. The house although typical of a Louisiana plantation in style was never a working plantation. It serves as the visitor center and had several exhibits explaining the battle. 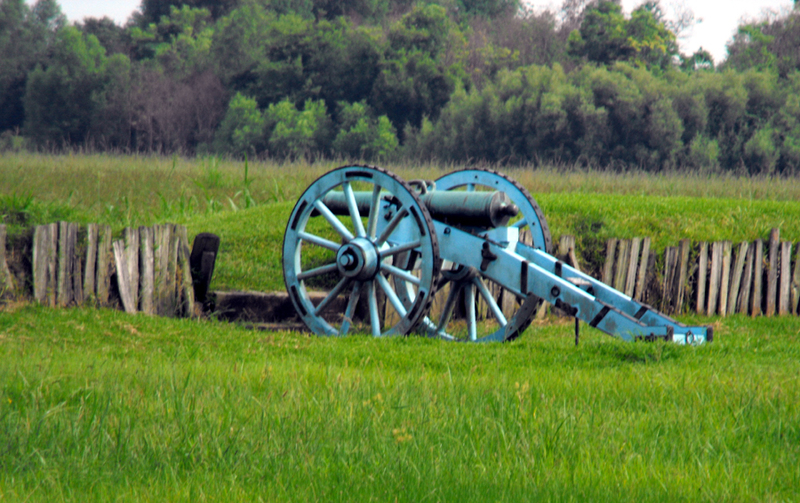 The Battlefield is part of six sites of Jean Lafitte National Historical Park and Preserve which consist six parks all together. Each represents a part of Louisiana' unique history. 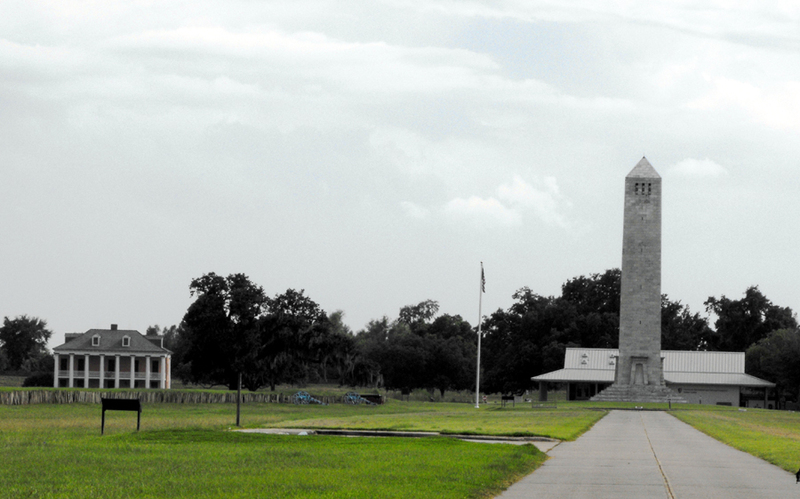 The adjourning Chalmette National Cemetery, also part of Jean Lafitte National Park, was established in 1864 as a final resting place for Union Soldiers who died in the Civil War. It is the final resting place of a unique soldier Rosetta Wakeman, who passed as a man using the name Lyons Wakeman and enlisted in the New York Volunteer Infantry. She died of dysentery in 1865 at Jackson Barracks. The National Park Service will be holding commemorative activates this January at the park. There will be a reenactment of the battle, the "soldiers" will be wearing authentic period uniforms, with exhibits of authentic armaments, tents, cooking utensils, and historical discussions about the battle. Do not miss this once in a century celebration.